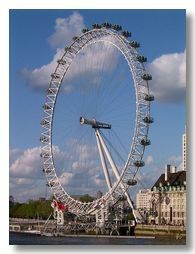 When erected in 1999, The London Eye was the tallest Ferris wheel in the world, being 135m high. 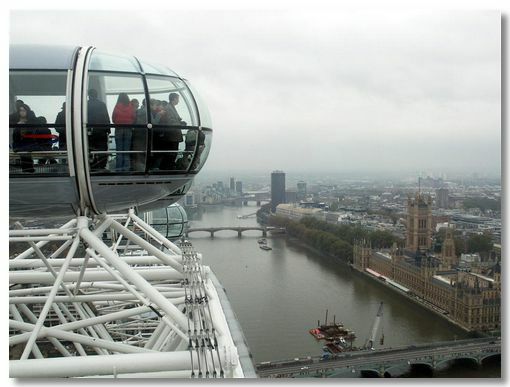 There are 32 capsules taking half an hour for a revolution. 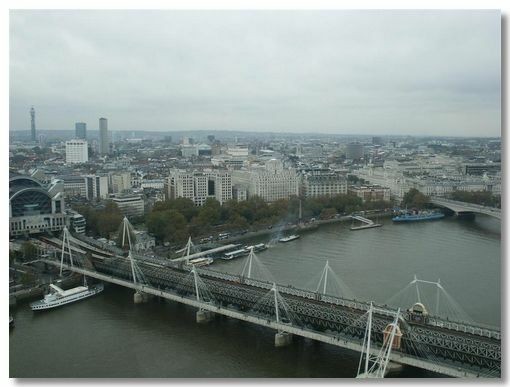 OK - enough of the facts - the main thing is you get the most fantastic views of London from it. The test starts here - how much do you recognise in this photo? 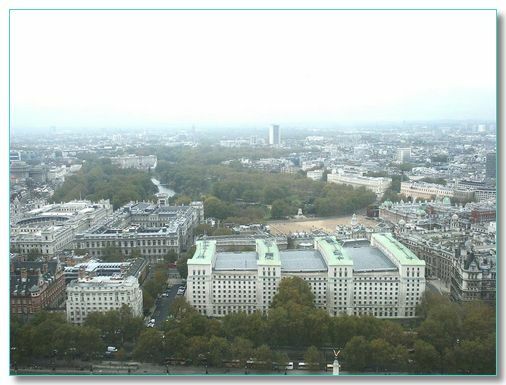 The Foreign Office, Buckingham Palace, Horseguards, New Scotland Yard, Downing Street (just the roofs! ), the ICA (where we had our wedding reception - many years ago....) and many more are all here. 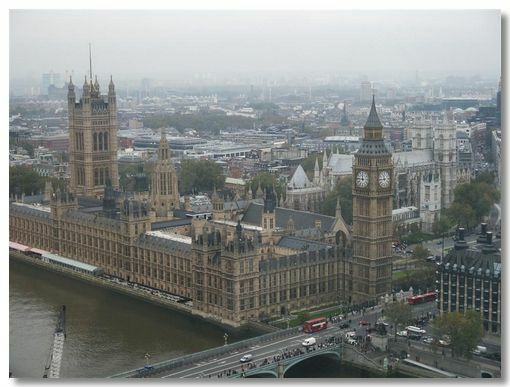 The Houses of Parliament with Westminster Abbey behind it. 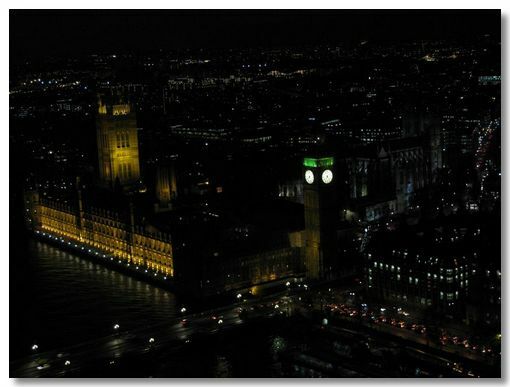 Same scene - but there is a special magic at night. Hungerford railway & footbridge links Charing Cross main line station to south of the river. Cleopatra's needle is on the embankment, just right of centre.